This week since it’s right before Xmas I’ll be sharing 3 Christmas French Songs to practice our listening skills and to enjoy the holidays as well. I have a little bit of everything from a traditional song and even a translated song. All 3 songs include the lyrics in both French and English to be able to compare them. Prendre plaisir et joyeux Noël! 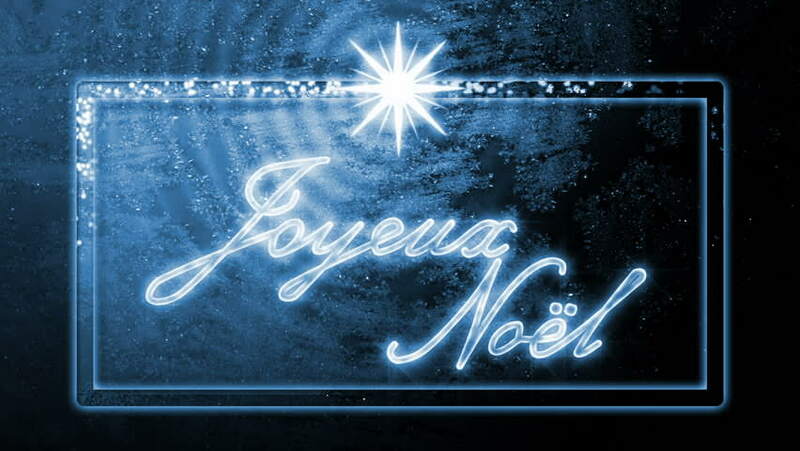 This French song which was adapted in English as Christmas Comes anew is the best Xmas French song that I could find and I especially loved this rendition by Anúna, it feels a bit creepy with the low tempo take on the song and even the imagery of the video. At the same time while difficult to understand by itself once you have the lyrics it’s a lot easier to follow and appreciate. L’ange disait! pasteurs partez d’ici! Petit Papa Noel is another French song, the lyrics are already in the video with the translation so that makes it even easier to follow but I still put them below just for reference. I especially love that the music video song that features these realistic CG models but they are so stiff and lifeless that uncanny valley definitely sets in and creeps you the freak out while keeping you glued to the song as you try to better your listening skills. Do not forget my little shoe. It’s a bit because of me. And that I ordered you. But I beg your pardon. and happy year grand-ma !